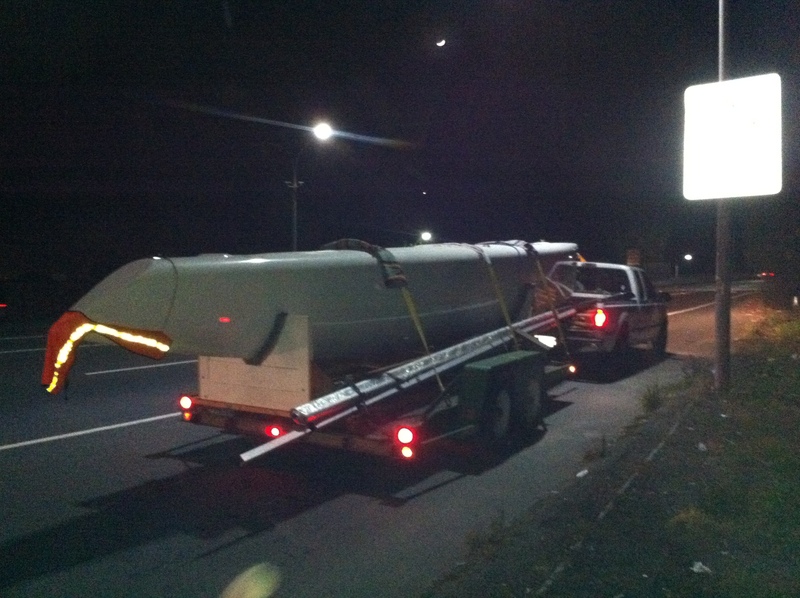 To start 2012, we moved the boat from the shop in Newark, CA that’s been home for over a decade. 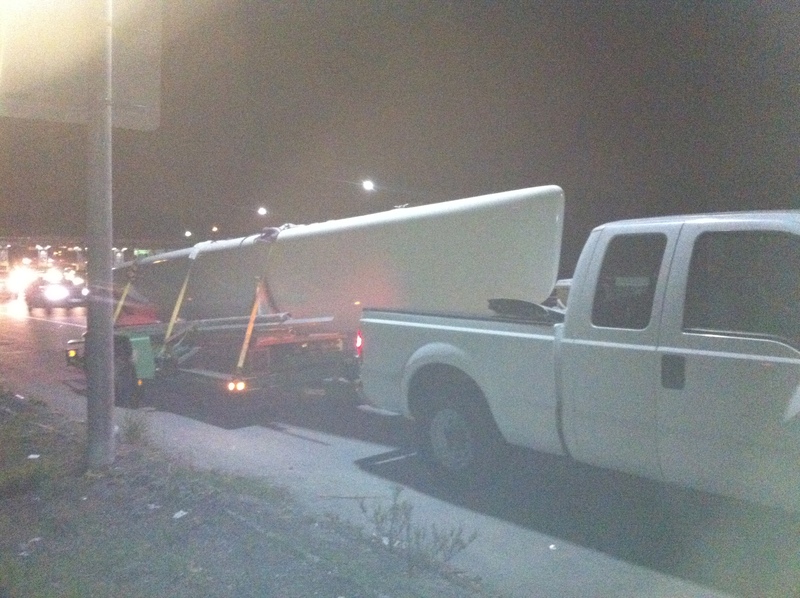 Rent on the Santa Rosa, CA shop began 1/1/12, with resolutions made to get the beams built this year. At this point, the floats are complete and finish painted. The main hull is complete, with the fore-cabin and main saloon furniture mostly built. Galley, head, rear cabin, propulsion, steering, dagger, rudder, main hatches, electrical and plumbing all yet to be started.